We love & treat all pets! Call today. Treat Your Big Dogs, Small Dogs, and Cats. Call today. Call (573) 334-5073 for appointment. Dr. Brian Heuring and Dr. Loni (Littlepage) Patke have 18 years combined veterinary experience and are both well-known for their friendly, down-to-earth and highly-skilled care. At Cape Small Animal Clinic, we greet you with a smile and strive to make sure you leave wearing a smile, no matter the situation, every time. We care about pets and the people who love them. We treat companion animals: big or small dogs and cats. Come experience why dozens of people are calling Cape Small Animal Clinic one of the friendliest vet clinics in Southeast Missouri. Call today: 573-334-5073! We care for pets and the people who love them. Come visit our newly-renovated clinic and experience compassionate, affordable and highly-skilled veterinary care for your dog or cat. Our clinic is located right behind CVS Pharmacy in Cape Girardeau (210 Christine St.) and you are welcome to walk-in anytime. We will also gladly book your appointment and are happy to answer any questions-- simply call our friendly staff at (573) 334-5073. We are also proud to now offer pet grooming. Cape Small Animal Clinic even has a coffee bar for you to enjoy in our lobby. We jokingly call it our "Cat-feinne station." Veterinarians, Dr. Brian Heuring and Dr. Loni Patke, along with our skilled team, always strive to make sure you are informed along the entire process of your pet's care. When people visit our newly-renovated clinic and chat with our staff, we hear them say, "Wow, they are so friendly." We think you will find the same experience, too, and we can't wait for your upcoming visit. Please take a tour of our website, connect with us on Facebook and Instagram, and give us a call to book your appointment. Thanks for stopping by! At Cape Small Animal Clinic, we treat your pets like the valued family members they are. 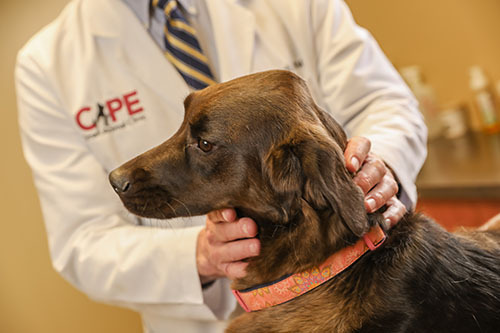 Since 1971, Cape Small Animal Clinic has proudly and humbly served families and their pets with expert veterinary care from Dr. Brian Heuring and Dr. John Koch. Please visit our newly renovated clinic, which includes a lobby coffee bar, and we now offer grooming! 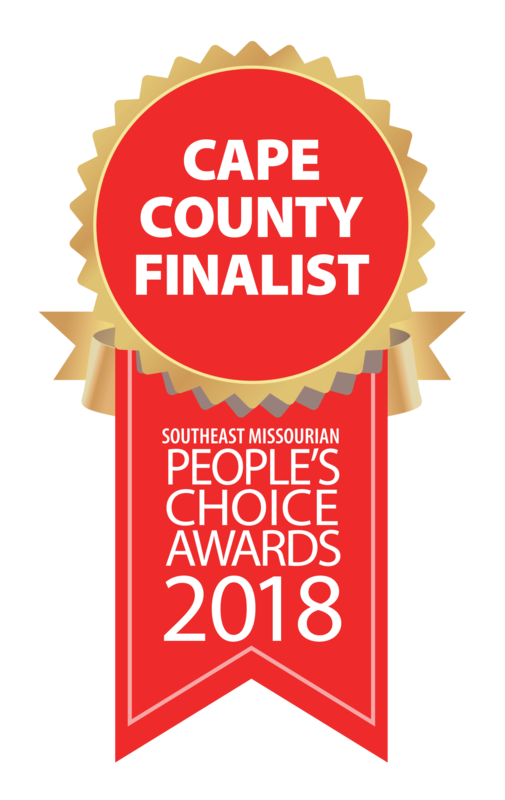 Dr. Brian Heuring, Dr. John Koch and the caring, highly-skilled vet team at Cape Small Animal Clinic are grateful to help improve the lives of pets in the Cape Girardeau area, from many miles around. In our clinic, we are happy, helpful, respectful and we work not only as a team, but as friends, all to help you--our Fur Family. Please contact us today for expert, compassionate veterinary care for your dogs and cats. From new puppy/kitten shots to comprehensive surgery, we do it all---and we communicate every step to you along the way. At Cape Small Animal Clinic, we care for pets AND the people who love them! "Absolutely the very best and excellent pricing. You can tell this clinic cares." "Thank you for saving my female dog and her puppies. Could not have asked for better service, especially in an emergency"
"I drive from Poplar Bluff just to take my pets to Cape Small Animal Clinic. They are so willing to do anything to help my pets and so caring. It’s comforting to know honest care is available right here, and it’s worth the drive to receive it. I love this place." "Dr. Brian Heuring oversees care for my four dogs. I couldn’t ask for better care. Dr. Heuring, as well as the entire team, are compassionate and empathetic to animals but also their owners! Outstanding professionalism and honesty. They listen without judgment. I will forever take my pets to Dr. Heuring’s clinic."